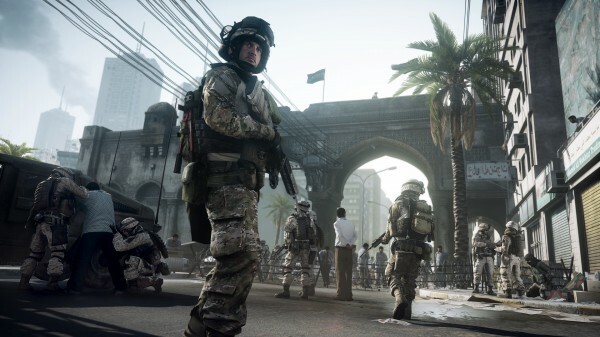 DICE, the famed studio behind the Battlefield games, has Wii U dev kits but is apparently NOT working on bringing the just-released Battlefield 3 to the system. No, and that’s exactly the reason we’re looking into it. But I’m a big fan of Nintendo myself, just looking at what they’ve done with the Wii and the Wii U… but we have to come up with something that really uses their controls. And until we get that bright idea of what to do with the new controls I don’t think there’s any point in making another version that’s just the same as everyone else. It’s a shame that we can’t count this shooter as a Wii U game just yet, but this isn’t an outright denial – only a confirmation that a Wii U version isn’t actually in development. This is actually okay. The game they can make will for the Wii u will probably make good use of the systems abilities. I guess it’s for the best… I doubt anyone would want to buy year-old shooters on a next gen console, anyway. Hope they come up with some great exclusives. There was something in the boxes of BF3 teasing the next Medal of Honor game, perhaps that would come to the Wii-U. I hope it comes out for Wii U. It would look just like the PC version.